Porchlight Music Theatre will present its 6th annual "Chicago Sings" concert, Chicago Sings: Rodgers, Rodgers & Guettel, Three Generations of American Musical Songwriters, at the Mayne Stage, 1328 W. Morse Ave., at 7:30 p.m. on Monday, April 4, 2011. This one-night-only event will celebrate the work of music theatre legends Richard Rodgers, his daughter Mary Rodgers, and his grandson Adam Guettel. Directed by Rob Lindley with musical direction by Doug Peck, the concert will feature more than 15 Chicagoland music theater stars. A selection of Rodgers, Rodgers and Guettel pieces will be presented, including pop standards Richard Rodgers wrote with Lorenz Hart such as "My Funny Valentine," "The Lady is a Tramp," and "Blue Moon." The evening, emceed by Lindley with Peck on piano, will feature performances by an exciting combination of rising stars, Porchlight favorites, Jeff Award winners, and Broadway veterans. Scheduled to appear are E. Faye Butler, Brianna Borger, Mary Ernster, Brandon Dahlquist, Roberta Duchak, Rebecca Finnegan, Nicholas Foster, Jess Godwin, Corey Goodrich, Ross Lehman, Bethany Dawn Lindner, Michael Lindner, Colleen McHugh, Susie McMonagle, Tom Michael, Christine Mild, Jeff Parker, Peggy Roeder and Bethany Thomas. Tickets for Porchlight Music Theatreâ€™s Chicago Sings: Rodgers, Rodgers & Guettel, Three Generations of American Musical Songwriters are $45-$60 each. Complimentary light appetizers and cash bar are available. 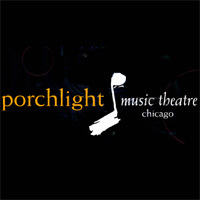 Doors open at 6:30 p.m. Tickets can be ordered through www.porchlighttheatre.com, or by calling 773-325-9884. Valet parking for $5 is available. The Mayne Stage is located near the Morse Red Line stop on CTA.